Lot 98. 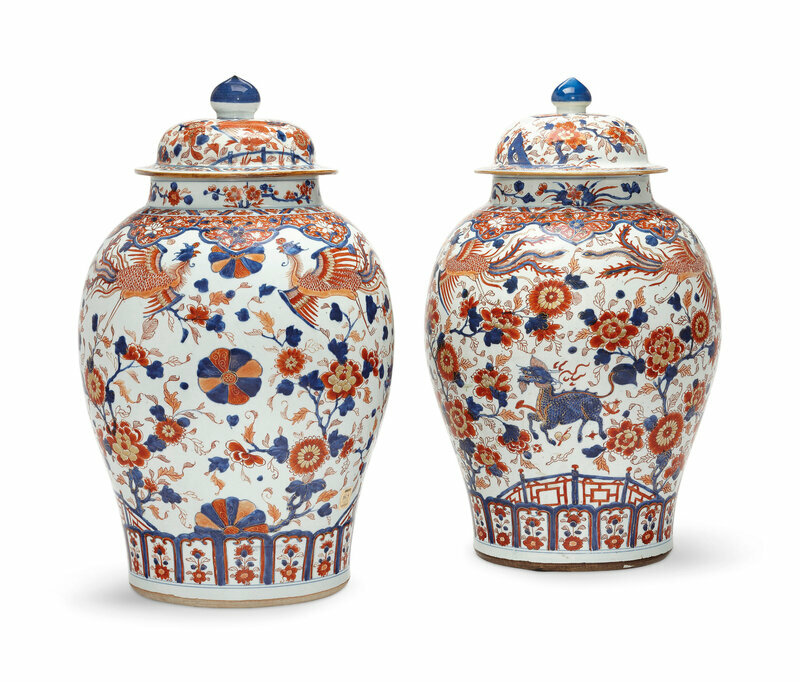 A very large pair of Chinese Imari jars and covers, Kangxi period (1662-1722); 24 ¼ in. (61.6 cm.) high. Estimate USD 20,000 - USD 30,000. Price realised USD 40,000. © Christie's Images Ltd 2019. 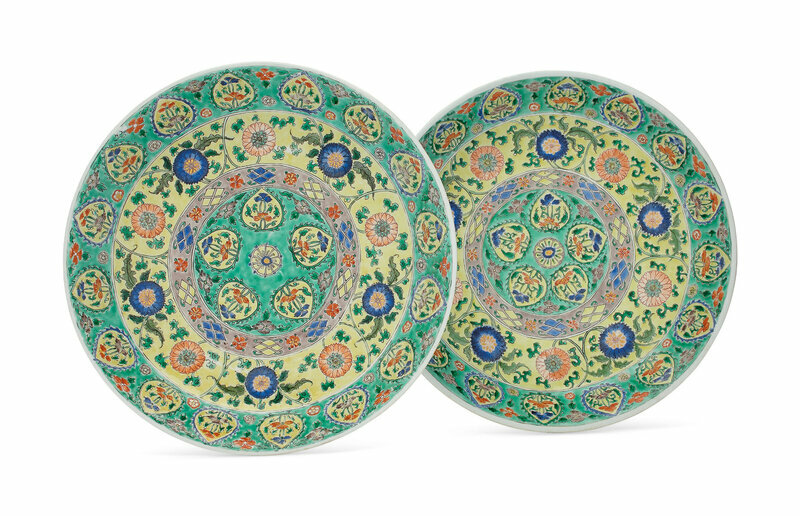 Painted with prancing qilin in a lattice-fenced garden bursting with flowers, two phoenix flying above, all amongst stylized mon and beneath a lappet collar, the covers with large button knops. 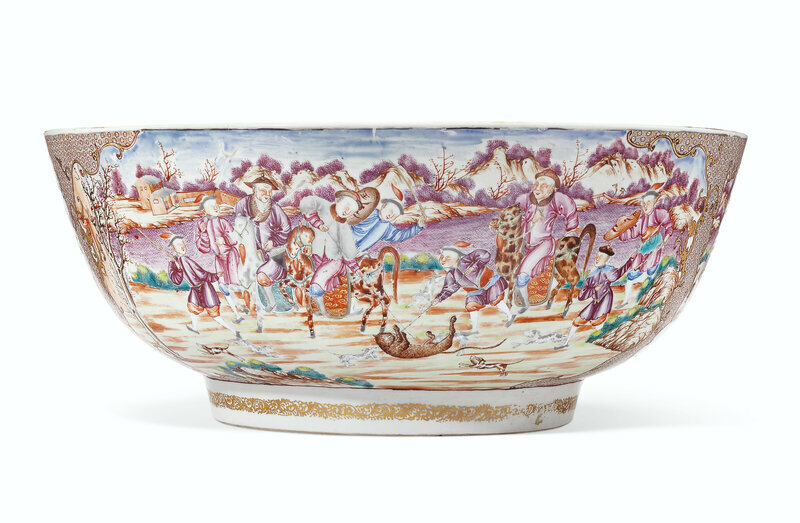 Provenance: With The Chinese Porcelain Co., New York.